A few weeks ago, the Internet, especially in the Philippines was on the loose when a video of two “pabebe” girls went viral. 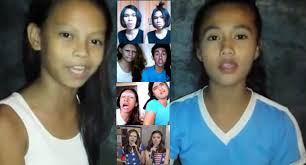 Eleven years old Michelle Alfonso and Janet Ricabo, 12 years old, went on to become social media sensations by dissing their haters in their own video called “Pabebe Warriors.” True enough, it was such a hit that it has been imitated countless times by netizens and even celebrities. The “pabebe” syndrome is such a hit that even Vice Ganda made a song out of this trend and is making the rounds in social media too. In other words, it is just another ploy to get attention. In today’s world where everyone tries to get everyone’s attention, conventional methods are no longer working in some cases. It is not enough that one is “fashionista” just to gain attention, or flaunt their wealth to make other people notice, or even use foul language just to gain their own 15 seconds of fame. 1. If their intention was to get attention by trying to be cute, well they failed. They did not look so cute in the video. If attention was the prime objective; well, people are annoyed as it only shows how contradictory people are; annoyed yet watched the video and probably enjoyed the video by making supposedly negative comments. 2. It is annoying as one can say that these girls are still going to school and both girls are evidences that the educational system has gone awry as their video acts can be considered as very shallow. Many Filipinos went to become international viral sensation by virtue of talent alone and some of them landed on Oprah and Ellen. If these two girls considered their act as talents, one wonders what kind of learning they have acquired in their schools. 3. It is annoying as there are so many meaningful things that they can do and yet they alleged that the video was a result of boredom. They were just instructed to do something to kill the time. My goodness, if this is how the youth of the Philippines manage their time, it is no longer surprising why the Philippines is getting messier every day. 4. It is annoying as the whole act just showed how shallow and meaningless videos are getting viral and videos that deserve to reach millions of views are languishing in the pool of unawareness. It only goes to show that probably, a majority of Filipinos are still clinging on to their hoi polloi taste and do not want to move on to higher taste such as appreciating arts for example. If you are a marketer, perhaps the “pabebe” syndrome is an indication of what the current market realities are. With that, it can only mean that more conventions are to be reconfigured to reach the “pabebe” market. It is annoying but is also the reality and acceptance of this reality is another reason to be annoyed with it. they are the pabebe warriors - they were defending the pabebe queen, the mamon girl...they were not trying to be cute. they were angry (or pretending to be angry) because of the ridiculous amount of bashing the original pabebe girl/mamon girl received...their act was not pabebe. hindi sila nagpa cute or nag act ala baby. writer, please research first about the pabebe queen, before making a comment about the pabebe warriors. your last 4 points were shallow. 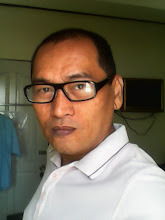 hindi mo pa nga nakikita ata bakit ganun ang acting nila in defending the pabebe queen. Dear author, this is a poorly written piece. Please do your research. I assume your "sales background' has a lot to do with your poor grammar and construction of words. Thank you for taking the time reading my post. I am convinced that writing is not only an art but also a dynamic process and an evolution. It is readers like you who give constructive and objective feedback that help writers like me evolve into better writers at the least. Thank you for pointing out the flaws in this blog entry.